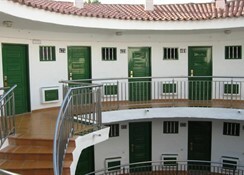 Las Faluas Apartments are luxury apartments in the sunny resort of Playa del Ingles, Spain. This 2-star relaxed and economical property is a perfect retreat for friends and family. The famous Maspalomas Lighthouse is only 6km from the apartments. The lighthouse offers a peek into Spanish history and is often thronged by tourists. The lively and bustling Aqualand Maspalomas water park is about 6km from the apartments. While you are here, spend an entire day lounging by the outdoor pool or enjoying water rides. The apartments also feature a kid’s pool, which is safe for your little ones splashing about in the water. The property offers ‘bed n’ breakfast,’ half-board and all-inclusive deals as well. 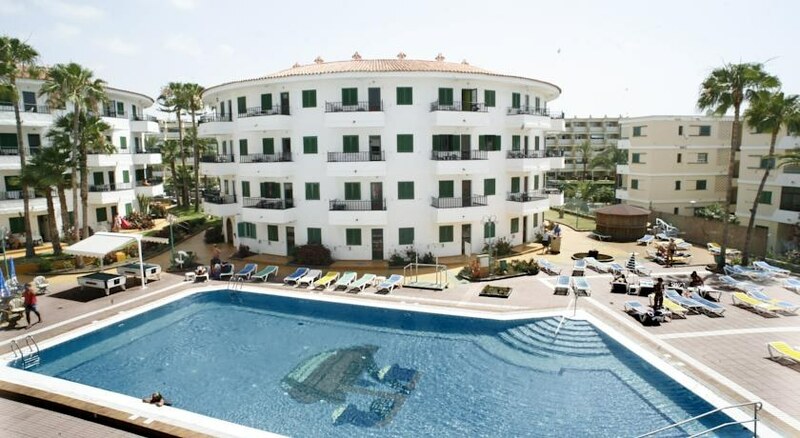 Located at a distance of 12 minutes on foot from the town’s popular beaches, this aparthotel is one of the most sought-after destinations owing to its location and affordability. The Gran Canaria Airport is about 26km from the property. 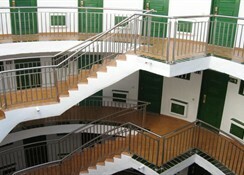 The 198 apartments here are simple and offer tranquillity amidst a bustling town. The one-bedroom apartments boast of an entry via the external corridors. 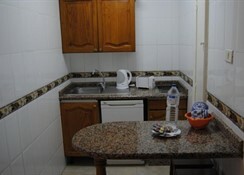 They have well-equipped kitchenettes with basic kitchen vessels. The living rooms have pull-out sofas which can be made into beds. They also come with televisions with satellite connectivity and balconies offering scenic cityscape views. A casual café here serves a delectable range of snacks and refreshments. Another sombre restaurant caters to your fine dining needs. A pretty little terrace can be accessed by the guests and offers beautiful panoramic views of the city. There are various other eateries, restaurants and shops close to the apartments, which give you ample options to explore and get an insight into the local culture and tradition. A tennis court enables you to practice the sport even while traveling. A pool table in the recreation room here offers ample fun and enjoyment especially when you get busy with a nail-biting match with friends and family. There are plenty of entertainment options to sample while you are here at Playa del Ingles and the apartments offer easy access to all the destinations as it is located in the heart of the city. The 24-hour friendly front desk here is happy to help and assist you at any hour of the day. 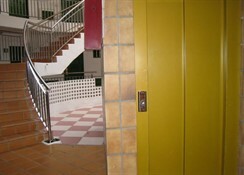 One can get concierge services, baggage storage and an electronic safe here. A well-informed tour desk at the lobby is always present to assist you with your travel plans and bookings. 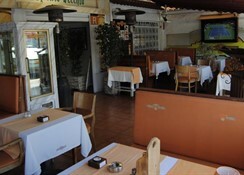 The staff can speak Spanish, English and German languages adding to the convenience of the guests. The friendly staff here is very warm and hospitable ensuring to make your trip as comfortable as possible. The property gives free internet facilities in all the public areas and guests can stay connected with friends and family. Airport shuttles and car rentals can be arranged on chargeable basis and prior booking. 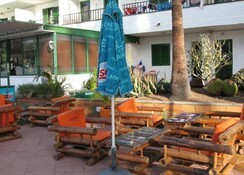 Next time, you visit Playa del Ingles, do book yourself a stay at Las Faluas Apartments and enjoy the hospitality here.